Rules allow for structure and order in a home. By applying and following the rules in this image, you can have a much happier and more content living environment. 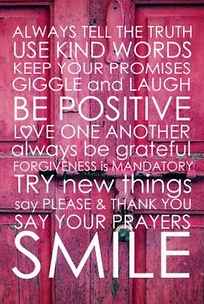 These are not rules that are hard to live by, just small and simple things you can apply into your life.